Did you know that there is plenty of solar energy in Alabama to heat water for our homes and to meet our other energy needs? Alabama’s abundant renewable energy resources are largely untapped because Alabamians simply do not know. 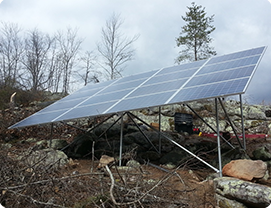 Solar Technology Alabama was started in 2008 to make solar energy available and affordable. Ron Holland is a graduate of Mississippi State University with a degree in electrical engineering. He worked for Alabama Power for 20 years before going into business for himself. He started Southern Environmental Air, Inc. in 1991 to provide air pollution control to Alabama industries. His interest in resilient communities, self-sufficiency, alternate energy sources and the environment led him to start Solar Technology Alabama in 2008. 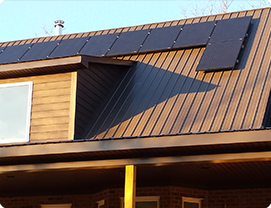 Solar Tech is a full-service solar installer with engineering capabilities to design custom systems. Ron does not just talk solar, he lives it! Abundant and inexpensive energy has led us into addiction. Electric power is involved in everything we need to live. But the grid relies on large, costly, and complicated delivery systems that can be easily disrupted. The day has come for Alabamians to consider alternate energy sources. Solar energy is good for our future because it is reliable, clean, dependable, sustainable, and affordable. Some of our customers have moved completely off-grid because they understand what life will be like if the grid were to collapse or become unreliable. They own and control the alternate energy systems that provide all the utilities necessary for life. Solar pumps and heats their water, provides electricity, and refrigerates their food. But most of our customers live in grid-connected houses. Their solar system provides off-grid power for their essentials, their comfort, and their security. They have not given up on the grid life. But they have a life boat in case the luxury liner sinks. Some of our customers are not interested in living off-grid. They just want to reduce their dependence on purchased energy and lower their energy bill. Let the sun heat your water or generate electricity and the savings will come! The long term return on investment is around 10%. What is the ROI on the money you pay the utility company? We have customers in Huntsville, Decatur, Florence, Birmingham, Anniston, Montgomery, and Mobile. Many more are located in suburbs and rural areas. If you live in Alabama, give us a call and let’s talk alternate energy. Better yet, schedule a visit to the Alabama Solar Technology center and see what solar can do for you. We have many videos for your entertainment and education on our YouTube channel, idosolar. You can learn much about alternate energy, including off-grid power, grid-tied power, solar water heating, and solar water pumping. We would greatly appreciate your clicking LIKE on every video you find helpful!